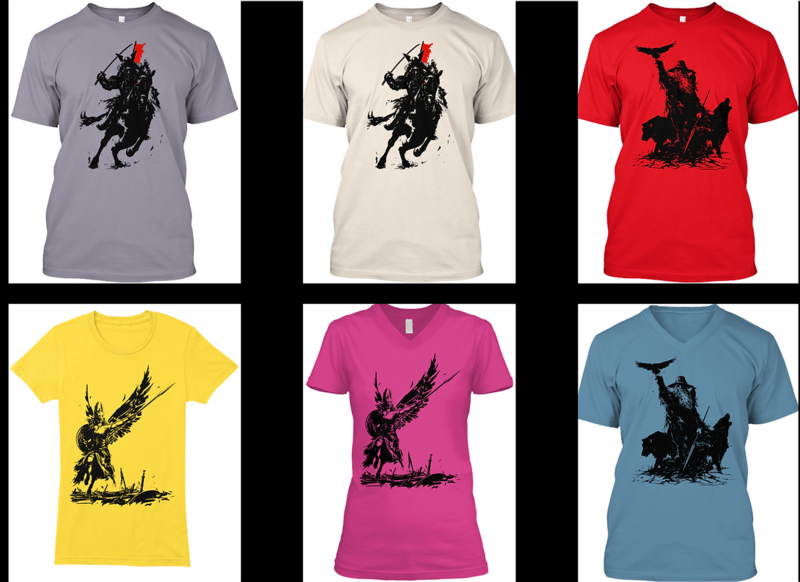 Your art prints & shirts, inspired by our love of gaming, movies, comics, and art! Intrepid Design Studio is all about quality & customization. Our brand features American Apparel & Tultex shirts, crafted from soft, breathable fabric. We're excited to have you aboard, and sure you'll find your shirt comfy anytime, anywhere. Unlock exclusive content and join our Intrepid Design Studio community of patrons. Thank you! We hope you enjoy our work & hope to see you at conventions! 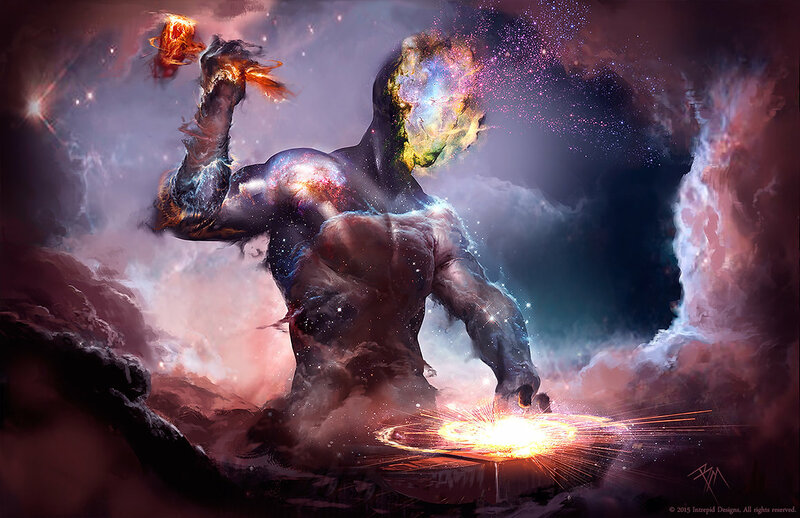 Clenching a hammer of the gods, the Forge Master crafts whole galaxies. Check back often to see our latest releases. You choose 1 of the 3 hand-drawn images on a hand-printed, soft & breathable American Apparel/Tultex shirt! Email, Size, & Shipping Address REQUIRED for delivery. *Price includes shipping & handling. 11"x17" on Glossy, Weighted Cardstock. Get it for your loved one, twinzie, or yourself! Artistic Super-Power!